Thank you for making the effort to find us and we hope to gain the honor of a bookmark in your PC. For over 35 years we have offered some of the finest touring programs throughout the world such as Globus/Cosmos and Collette Vacations, as well as independent touring like Avalon Waterways and Monograms with some of the lowest rates available in the market. We provide a traditional one-on-one travel service and a preferred discount arrangement with some of the best-rated and highest value touring companies available today. If you haven't made your plans just yet then now is a good time to get out there and see this beautiful world. There are plenty of sales and promotions this year and travel could never be more interesting and exciting. Our counselors are available to answer your travel questions and assist you in the selection process of the travel-related services that you seek. If you do not find all of the answers within our site please feel free to contact us by phone or an email. We are both honored and pleased that you have chosen to visit us. 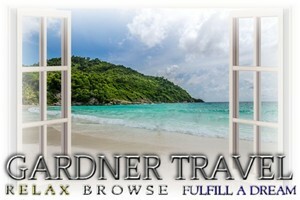 We hope to be of service for you and your travel needs in the not too distant future. Welcome to our website and we hope that you look here first for your next grand adventure! Traditional Service + Great Low Rates! The Globus family of brands can create vacations with just the right balance of included features and free time, and along the way, tell the stories within every journey that bring your destination to life. It all comes together to give you the feeling of being a true local—not just a visitor. And Globus can do it all in four distinct ways. 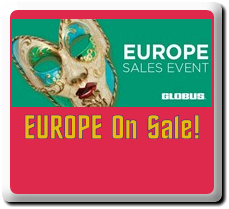 Globus Journeys offers first-class touring with exceptional accommodations, ultra-modern media-equipped motorcoaches and the most prominent and historic tour stops along the way. This is also Globus' most complete touring programs including most meals and admissions to museums, historic sites and attractions along the way. Cosmos budget-style touring combines the freedom of independent travel with the benefits of group travel, all at an unbelievable value. Cosmos puts your European and North American travel dreams within reach. Monograms is ideal for independent travelers who prefer just the right amount of support. This freestyle program offers 143 all-in-one independent packages that cover all the details, including hotels, transportation, sightseeing, and services of a professional Local Host. Avalon Waterways sets the standard in river and small-ship cruising with the newest fleet - the most included shore excursions - the widest range of choices and extraordinary itineraries. From the waterways of Europe, China, Southeast Asia, Egypt and the Galapagos, you’ll unpack only once, and you are free to take in your destination, your style. We also specialize in Collette Vacations - a refined escorted touring experience. Enjoy the perfect balance of inclusions and affordability, culture and comfort, free time and expert guides. True adventures go beyond incredible destinations or inclusive packages. Collette delivers a sense of possibility across all seven continents. Since 1918, Collette been sharing their love of travel. 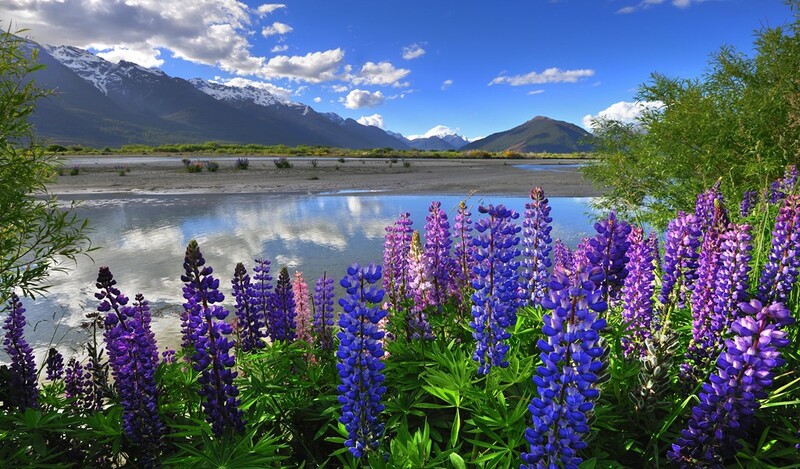 Today their worldwide travel collection features comprehensive land tours, river cruises, rail journeys, small group tours, family trips, garden holidays and more. With Collette, wake each morning on tour with a new experience in front of you, and when your head hits the pillow, you will know it has been an amazing day. Best of all - they seamlessly handle the details. All you have to do is enjoy the adventure! 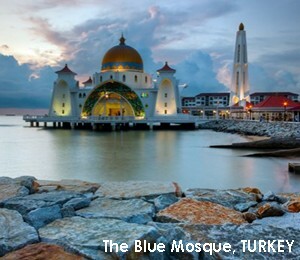 We invite you to explore our many top quality, award winning and comprehensive tour programs. These fine world class itineraries were hand selected by our president, Randy C. Gardner, for their value, quality and operational merits and we offer both regional or multi-country touring experiences. Our rates are the lowest and most competitive anywhere. And we offer a price-match guarantee should you find it lower elsewhere. 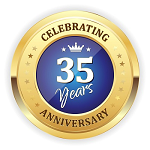 For over 35 years as professional travel consultants we continue to offer our traditional full-service assistance to our travelers. Should you have any questions about one or more of our programs please inquire. 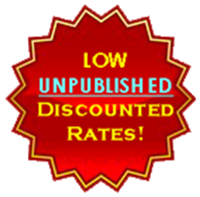 We DO NOT CHARGE FEES for any of our listed programs. In fact, we can typically provide a sizeable discount - one that will save you enough money to spend on the trip, itself. A gentle ocean breeze, seabirds circling overhead, the sand between your toes, the sound of the surf and not a care in the world. Our Freestyle and Independent package programs are designed to recharge your mind, body and soul. We offer a wide variety of vacation getaways to deserted beaches, tropical jungles, first-class resorts and villas and romantic experiences. Get lost in the moment with a Freestyle vacation getaway made especially for you. Whether you are single, a couple or you are looking for a trip for the whole family we can provide options to fit your dreams. 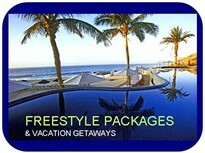 CLICK HERE for our Freestyle and Independent package programs! The idea to add a quality golf planning service came to us naturally as many of our clientele that we have served in over the last 35 years have enjoyed it. GOLF has always had a place here within our company and the game, itself, has been in the family for many generations. In 1997, we introduced our web site and our golf packages were one of the first programs loaded. Since then we have served thousands of players in their quest for a quality game. Wherever we go, we load up our golf programs with the top courses in each area. Who wants to travel great distances to play something less than extraordinary? That is our goal - to offer the best of golf in each exciting market. We present opportunities for the budget-conscious player as well as those seeking the ultimate golf experience. And, we offer plenty of in-between programs to suit every player's budget. We offer the best of Texas as well as, some of the most beautiful resorts, casitas, villas and rooms in Arizona. We also offer a few special golf tours up and down the Pacific coastline that would satisfy even the most discriminate player. In addition, we can take you to some of the finest resort-style destinations in Florida - like Sawgrass, PGA National, Doral, Innisbrook and Amelia Island. Our programs are a collection of the finest in their league. 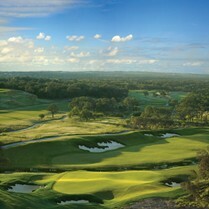 CLICK HERE to visit our Southern Breeze golf packages! It’s a scary world out there, and even seasoned travelers are a little nervous. Whether they’re facing terrorism or just getting bumped from an airplane, travelers are more inclined to talk through their concerns, and get unbiased information, from a live agent. The tips we can give, the advice, those things you just can’t get booking online. Agents have access to deals and promotions travelers do not. From cruise lines to hotels to tours, suppliers know their top travel agents and slip them upgrades, bonuses, special offers and early entrance tickets that make their customers feel special. And research shows they save customers an average $452 per trip. Consumers are wising up. Online travel agencies (OTAs) often advertise one price and then tack on fees and other hidden charges, or restrictions and blackout dates in the fine print. And there is so much information out there – so many brands and new products – that the research is overwhelming. Among travelers who regularly seek information from an OTA when planning a vacation, only 13% were typically booking their reservations on OTA sites even in 2015, according to MMGY Global, compared to 36% in 2014. While OTAs have call centers to assist customers with basic site navigation, they offer little further support. Travel agents help during the booking process and stay with you to make sure all goes right. And when there is a problem, they are there to intervene—whether it’s a supplier who doesn’t deliver or an emergency that requires getting you out of harm’s way quickly. And with an agent, you have someone advocating for you! Enlist the aid and services of a professional travel agent... for the time of your life!